Thursday, Jun 14, 2018 @ 12:00am 2018-06-14 00:00:00 2018-06-14 00:00:00 America/New_York Miami Model Citizens Please join us in supporting the volunteer projects at Miami Rescue Mission! With the purchase of a ticket, guests will receive 1 complimentary welcome drink upon arrival, with light bites being passed from 8-9 pm. Please join us in supporting the volunteer projects at Miami Rescue Mission! Cash bar will be available afterwards and guests are encouraged to stay for dinner! 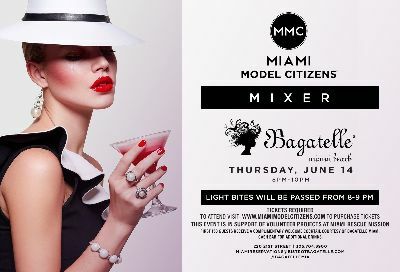 Thursday, Jun 14, 2018 2018-06-14 00:00:00 2018-06-14 00:00:00 America/New_York Miami Model Citizens Please join us in supporting the volunteer projects at Miami Rescue Mission!